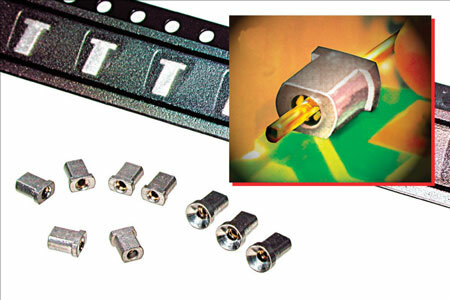 Mill-Max flat type surface mount pin receptacles are individual component lead sockets primarily used for plugging and unplugging of components on PC boards. Flat type surface mount receptacles are designed to be mounted horizontally on the board and are supplied on tape per EIA-481 for automated assembly with industry standard "pick and place" machines. All receptacles utilize "multi-finger" beryllium copper inner contacts renowned for their greater compliancy and proven reliability. Receptacles are available with various plating combinations: gold or tin contact and shell or the economy of selective plating with a gold contact in a tin shell.